That’s pretty much what Franz Joseph Haydn said to his employer, Prince Nikolaus Esterházy, except not in those words. Instead, Haydn found a clever musical way to get his point across. 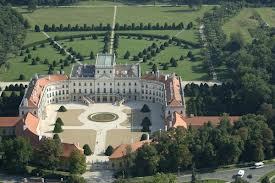 As this article explains, in the summer of 1772 Prince Esterházy decided to extend his vacation at his country palace. The court musicians in Haydn’s orchestra were missing their families back home. Haydn gave the prince a gentle musical nudge. The final movement of Symphony No. 45 begins with the typical fast Presto. But at the end of the movement (27:35 in the video below) Haydn does something strange which would have attracted everyone’s attention. At the moment when the symphony should be coming to an end, a slow Adagio begins. One by one musicians drop out and exit, until two violins are left to play the final notes of the symphony. The good-natured Prince Esterházy allowed the musicians to return home the following day. 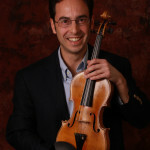 The piece earned the nickname, the “Farewell” Symphony. Let’s listen to a recording of Christopher Hogwood and The Academy of Ancient Music. The first movement begins in a stormy F-sharp minor. Listen to the way the music spins and evolves, sometimes going to unexpected places. Beethoven was a student of Haydn and I sometimes hear the seeds of Beethoven in Haydn’s music (15:50 in the second movement, for example). But while Beethoven ushered in a Romantic Era of the composer as “artist” and “hero”, Haydn probably saw himself more as a “worker”, writing only for the next gig. As you listen to the instruments gradually drop out in the final movement, consider the emotional impact of this ending. There’s something touching about a symphony which began with such ferocious energy ending with the intimacy of two violins. Very interesting – thank you for sharing.